Ryan is 12 and streetwise. He lives with his mother and younger brother, Tommy, on a large run-down council estate. Their mother is an alcoholic who can’t look after her sons. Ryan does his best to stop Tommy and him being taken into foster care, but it isn’t enough. One afternoon, social workers suddenly arrive at school and take the brothers away. They are separated and sent to different foster carers. Ryan is very angry. 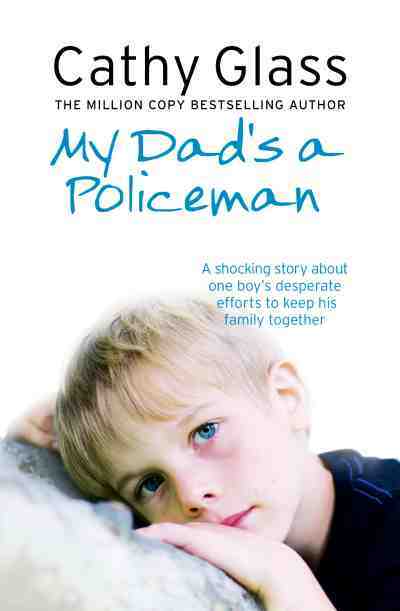 My Dad’s A Policeman is a gripping short story of Ryan’s search for his younger brother. Written in first person I write as if I was the foster child. I hope you enjoy it. A gritty heartrending tale of a small boy’s search for a place to call home. Clever perspective …from an angry child’s point of view. A must read. Quick Reads are brilliant, short books by bestselling writers and celebrities. These exciting, dramatic and funny stories are ideal for regular readers who want a short, fast read. They’ve also helped hundreds of thousands of people to pick up books and enjoy reading again.